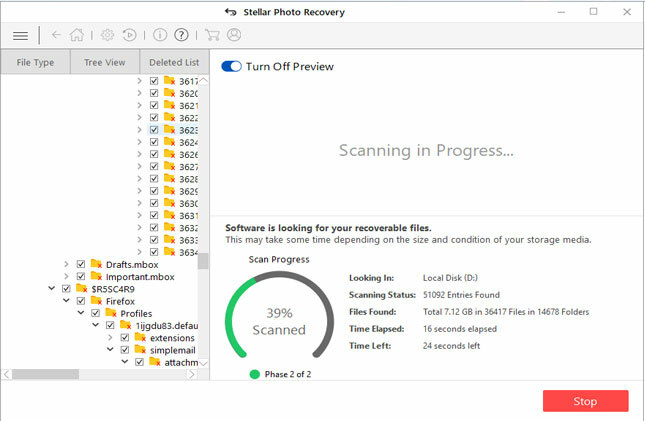 Summary: Is your files from SD card getting deleted by itself? Do not have any idea how SD memory card data deleted automatically? Looking for a solution on how to fix SD card deleting files by itself and how to recover files from SD card whose data gets erased by itself. Well, read this post till the end and find out the solution by yourself to fix SD/ micro SD card erased itself problems and also recover SD card files deleted automatically. 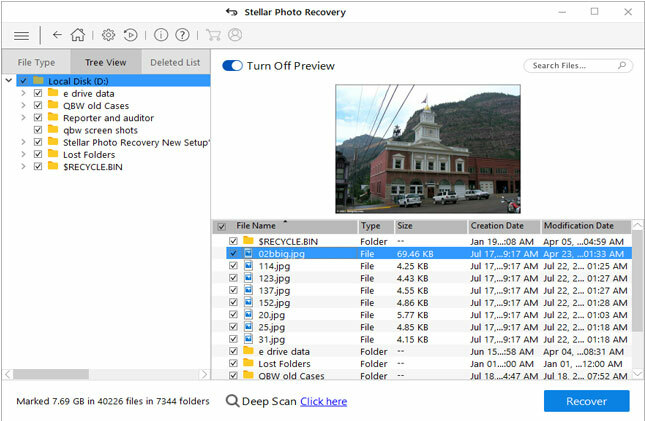 If you do not want to read the post till the end and want to recover files from SD card that got deleted by themselves, then my suggestion for you is that you must download Photo Recovery software. 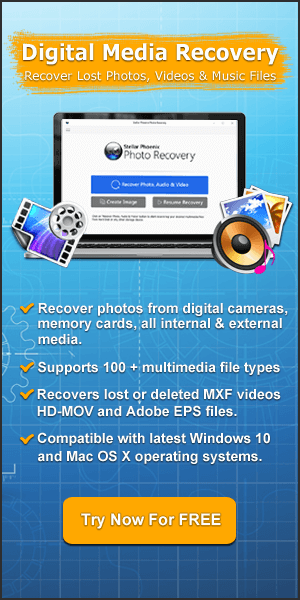 Restore files such as photos, videos and audio files deleted by itself from SD card. 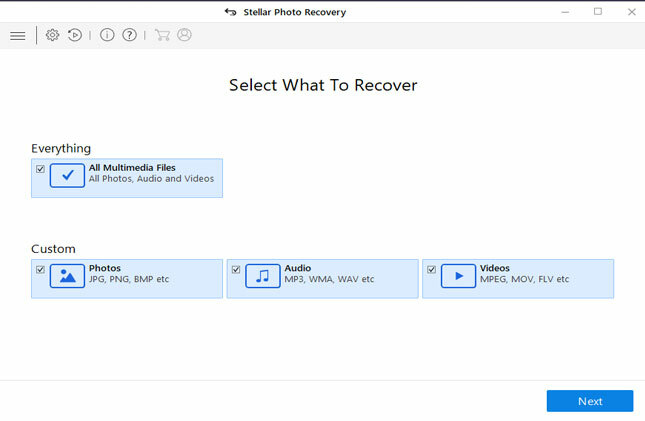 Restore files from all SD memory card types and brands such as SanDisk, Transcend, Sony, Samsung, Lexar, etc. All right, so now let us begin with the real user example who has expressed his problem of losing his files that gets deleted or disappeared by itself from SD card. So, I had this phone for 5 months now and about two weeks ago I bought a 64GB sd card. I transferred some files on it, mostly music files. After some days I noticed that a specific artist was missing. I connected the sd card to my computer and saw that, although the folder of the artist was there, all the files inside of it were missing. So, I deleted the folder, created it again and transferred the same files again. Some days later I noticed the same artist’s songs missing again. I’ve had these files on another sd card on another phone but never had any trouble with it. Anyone here with the same problem? Is it a phone bug, or maybe a faulty sd card? That was just one example. Similarly, there are hundreds and thousands of users out there facing the same SD memory card problem. But have you ever tried to find out the causes behind this specific “SD card files missing by itself” problem. There is a saying – “you have to first find out the causes and only then you can fix it”. So, below find out the reasons! Why SD Memory Card Keep Deleting The Files By Itself? The majority of the problem has been found that faulty SD card is the main reasons for the data getting deleted by itself. Actually, when your external SD card start malfunction then one of the typical symptom is that it start to erase everything stored in the card. But why SD card will malfunction? When your card gets corrupted, infected with virus, physically damaged, when SD card start to throw fatal errors, etc then your SD card start to malfunction. 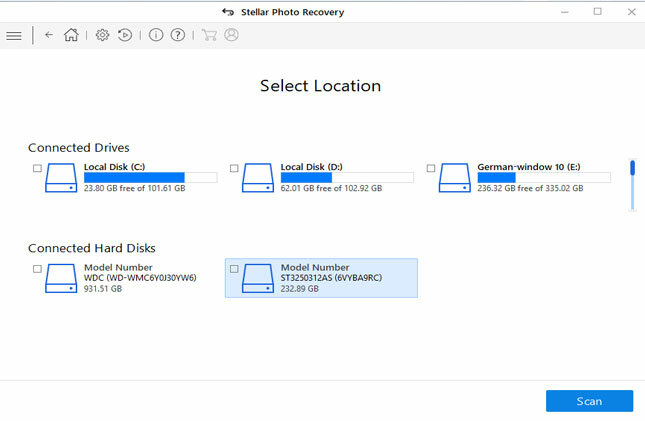 How to Recover Automatically Deleted Files From SD card? As I have promised that I will provide the solution on how to fix SD card erasing the files by themselves – and that I will definitely provide the solution. But before that it is very much important that you must first retrieve files from your SD card that got deleted by itself. 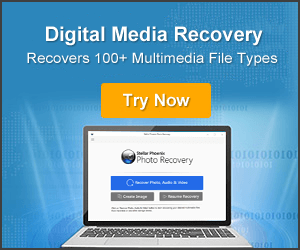 If your SD card deleting the photos, videos or music files by itself that you want to restore then you must apply Photo Recovery which is suitable SD card data recovery software. 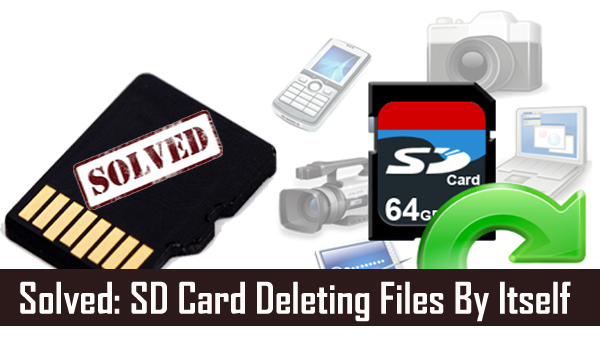 It will help you to get back lost or deleted digital media file erased itself from the SD memory cards. The software is capable of retrieving photos, videos and audio files disappeared or missing from SD card. The software not only support SD card but it also support other memory card types such as microSD, miniSD, SDHC, SDXC, MMC, CF, SmartMedia and all other card types of several brands. 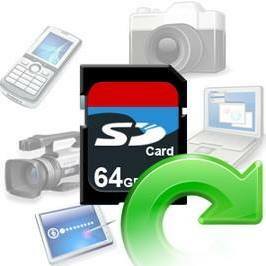 Now below find out the solution on how to fix SD card deleting files by itself problems. Finally we have come to the solution section. Insert the SD card in card reader and connect it with PC. Now, type the following command chkdsk/f drive: (for example if your SD card drive is showing as E:, then type chkdsk /f E:). You may probably see that corruption has been found and fixed. After this add files on your SD card and then again repeat the chkdsk/f drive: process. Once, the process gets complete, check the files on SD card. If files on SD card are still available then it means that your problem is solved. Now safely eject the card from the PC (Also Read: Fix SD card Unexpectedly Removed error) and plug it back into your device (normal mobile, Android smartphones, digital camera, etc) on which you are using it. I hope now your files from SD card will not get deleted by itself. Tips to Avoid SD Card from Erasing Files? Format new SD card: When you purchase new card, then it is suggested that you must first format the SD card before using it in any device. Check card for corruption and repair: There is another chance that your card develops bad sectors. In this case, when you connect card with PC, window prompt pop-up messages asking you to format it. But sometime formatting card throw error message “Windows was unable to complete the format” on SD card. In this case you have to find out the corruption and repair it. Replace the card: If Windows unable to format the card or if corruption of card cannot be fixed then in such cases you must replace your SD card with the new memory card. I am sure that by following the above solution and steps you will be able to recover files from SD card getting deleted by themselves and also fix SD card deleting files by itself. Since, the problem comes unexpectedly, you must take precautions than curing it later and hence I have provided some effective tips that will help you to avoid SD card from erasing files. Photos, videos or music files getting deleted by itself from SD card? Here learn how to fix SD card deleting files by itself and recover files from it.